A commitment to excellent craftsmanship, a proven track record, and honest prices—these are the characteristics that define the professionals at Brazilian Concrete, LLC in Columbus, OH. Whether you’re starting a new construction or a remodeling project, this trusted team will exceed your expectations with stunning stamped concrete services. From driveways and patios to foundations and walkways, these specialists offer the solutions you need. With over 15 years of experience, Brazilian Concrete provides a wealth of expertise and dependable services. Talented staff members work with you to plan stamped concrete and resurfacing projects. You and your family can take advantage of this contractor’s use of durable materials designed to mimic natural stone, brick, and ceramic tile. If you’re dealing with large cracks or discoloration, these experts will fix the issues without breaking the bank. 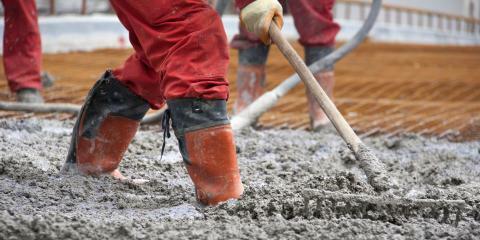 When searching for a reliable concrete contractor to handle your stamped concrete and repair jobs, reach out to the friendly folks at Brazilian Concrete. Call them today at (614) 405-4546 to schedule your free quote or visit them online for more information.